Bathrooms have been around since the time man learned about privacy and started to live in colonies. They were a room of great importance then and they are of great importance today as well. Many things have changed for bathrooms over the period of time. From different technological advancement in the showers and major advancements in the paint jobs, a lot has changed in this room of the house. Though the room still serves the main purpose of sanitization but these technological advancements have made the room quite modern. In the early days the size of the bathroom was quite big as there was no problem of space due to low population density. But in today’s ever-growing world and the increasing population density the size of our houses have shrinked a lot and so has the size of our precious bathroom. This decrease in size has forced the designers to create something that looks good and is also not space consuming. A bathroom is never too big so in this case the concept of more the merrier (in terms of space) follows but due to the lack of space only a few of us can follow the concept. 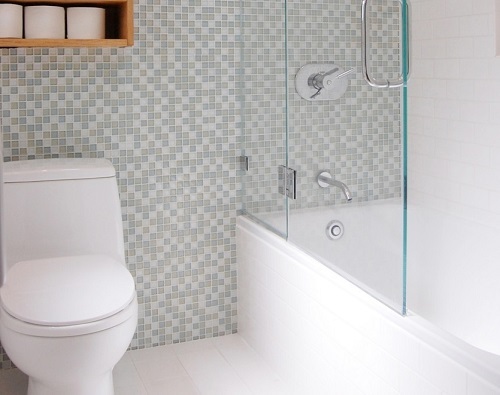 So for those of us who can’t here are some ways to make a small bathroom look bigger in size. I mean it in the literal sense. Keep the color on the walls of a light shade. Light shade gives out a lot of positive energy and also makes the environment light. Colors like white or light shade of blue if painted on walls and as well as the ceiling creates an illusion. It feels as if the boundaries are swallowed and room feels dimensionless thus feeling bigger in terms of space than it actually is. The paintjob has more of a psychological effect than a physical one but effect plays a vital role in increasing the size. Things lying here and there in a disorganized form always make a room look messy and small in size. So, keep things in place after use and also keep them in an orderly fashion. Things of daily use like the soaps and shampoos should be kept in an open cabinet that provides easy access to them. Things which are needed to be away from the dirt can be kept away in a closed cabinet, and since we are short in space, use of cabinets with an integrated mirror will help you save a lot on space. Sometimes we tend to keep things that we do not use in a bathroom like a certain shampoo that you bought because you thought it was good but it wasn’t or some other stuff. Only keep those things that you use daily and discard those that are being neglected in the bathroom from a long time. Be very careful of the size and shape of a sink that you decide to use in your bathroom. Choosing a very big sink will leave you with little or no top space. Use oval sink shape because they tend to feel big given to the fact that they do not have lines to differentiate every plane and also they will provide you with lot of top space. Do not go on placing the accessories wherever you like. Place them in such places that are apt for their access. For example place the towel hangers just above the bath tub, this will make grabbing a towel easy and also it will save space on the wall. Awesome article. 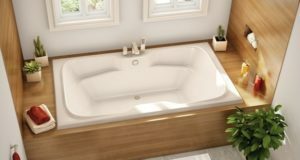 I really enjoy this post, your useful tips help me a lot, I’m going to try them out with my bathroom remodeling project. Thanks for sharing. Your first tip really stuck with me, keeping it light. I have a tiny bathroom that is covered with tiles, looks great; only problem is the grout is charcoal colored! The grout lines are really thick as well so I decided to regrout my tiles and use a light grey instead. Gotta say it definitely helped! Slapped a mirror up on the other side of the room as well and what a transformation! What light enters the room is now amplified thanks to the new grout and mirror. Amazing post! I must say you have an tremendous creative ideas that every person need to keep in mind while remodeling their bathroom. Thank you for sharing it with us. Looking forward more such posts. Good luck! Brilliant ideas here. Many people forget that their sink and cabinets can make or break their room, also tile size helps create an effect of a bigger room. 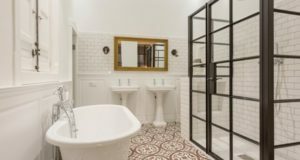 Going with large tiles in a small room usually makes it look smaller, so doing the opposite is great if you got a small bathroom.